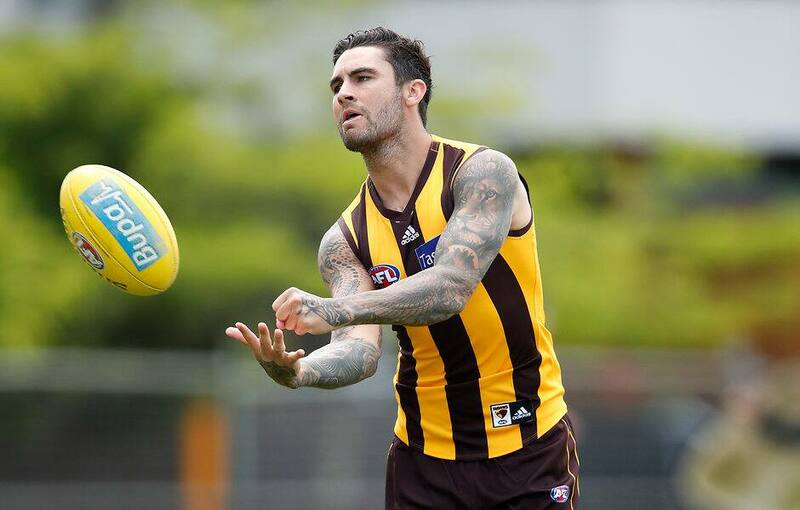 Will you pick Chad Wingard in your Fantasy team? WHERE do I start? I don't even have the words to express the way the AFL Fantasy community feels after hearing the horrific news that our favourite player Tom Mitchell (MID, $938,000) has broken his leg and will likely miss the entire season. He is our beloved 'Pig', a name we assign to only the greatest Fantasy players. These players feast above and beyond when it comes to scoring points and Mitchell definitely did that in 2018, scoring over 140 in more than half of his games, reaching career-highs of 187 and 195. The Traders and the Fantasy community would like to wish Tom a speedy recovery, and hope that he and his injured ham hock are back to even bigger and better things when he returns. This will place a huge emphasis on Jaeger O'Meara (MID, $695,000), who ended 2018 on fire. Despite playing a limited amount of football for a long period of time, we expected a slow start from O'Meara but once he got going, he flew home averaging 104 after his bye. However, with a tear in my eye, we must move forward and see what else the Hawks have to offer in 2019. Last year, Chad Wingard (MID/FWD, $598,000) averaged 10 less than he did the previous year which makes him a bargain at his new club. The question of Wingard's role at Hawthorn should be known by the end of the JLT Community Series but with Mitchell injured, the door appears to be open for Wingard. If this is the case, you can lock him in to average 95+ which makes him a worthy selection in your Classic team. If Grant Birchall (DEF, $350,000) is named in round one, he needs to be in your team. He missed the entire 2018 season and therefore receives a 30 per cent discount on his 2017 average of 69, placing him at an average of just 48. Birchall averaged 81 not long ago, and if he plays any part in the JLT Community Series, that will be enough for me. From round 18 onwards, James Worpel (MID/FWD, $480,000) became a regular within the Hawks best 22, playing the six remaining games at an average of 83. During this time he ranked third at the club for disposals behind Mitchell and Shiels. Due to his slow start to the season, Worpel is now priced at an average of 66. With a position now vacant in the midfield, he'll only be better in 2019 and could be a huge smokie in your Classic team and a definitely sleeper on Draft day. After four games with the Gold Coast Suns in 2017, Jack Scrimshaw (DEF, $203,000) finds himself at a new club, at a juicy price. His best effort was only 64, but if he can cement his place within the side, he's a great bench option in defence. He has the name, but will we see Jacob Koschitzke (DEF/FWD, $170,000) this year? Cousin of former Saint Justin Koschitzke, Jacob is a versatile tall from the Murray Bushrangers. Koschitzke stands at 195cm and was named full-back in the AFL Under-18 All Australian Team where he represented the Allies. Not one Hawthorn rookie played more than 10 games last year so Koschitzke has the odds against him, but he’s a name for the future. Liam Shiels (MID, $704,000) has averaged 90+ in three of his last four seasons and as he enters his 11th season, he is still getting it done. Last year, Shiels averaged 97, his best season since 2015 where he averaged 99. He will be called upon again to be a ball-winning midfielder and as we know, he loves a tackle, registering over 10 four times last year. After only playing 14 games through injury and suspension, James Sicily (DEF, $694,000) created constant headaches for his Fantasy coaches. When he played, he dominated with an average of 96 and was one of the standout defenders in the competition. However, when we’re looking for reliability and durability, Sicily isn’t at the top of the list.